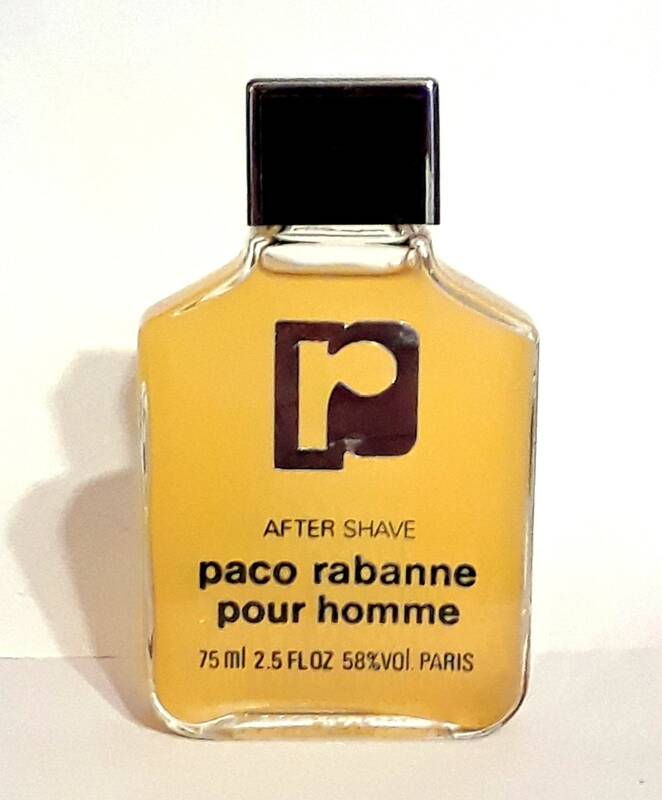 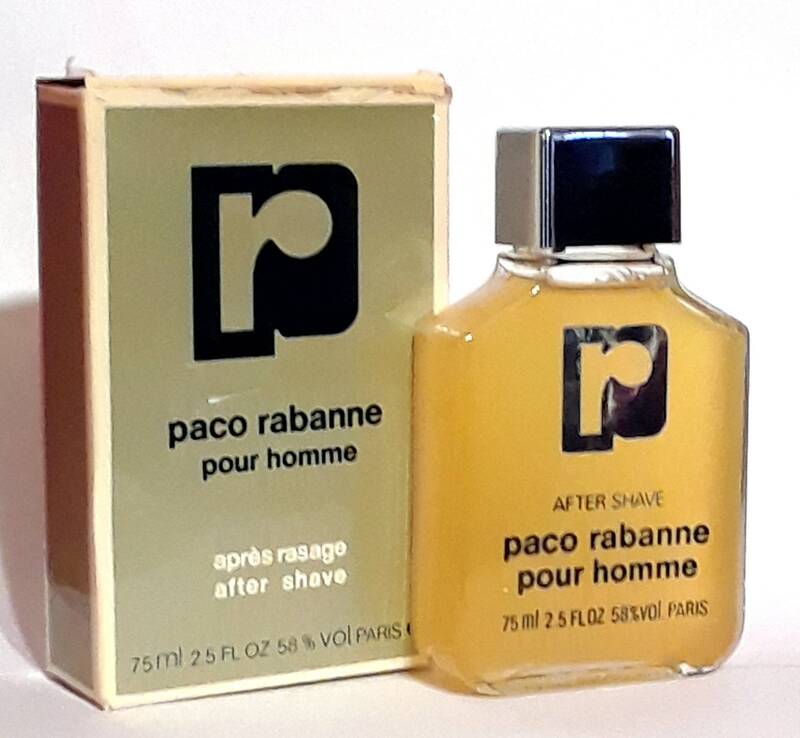 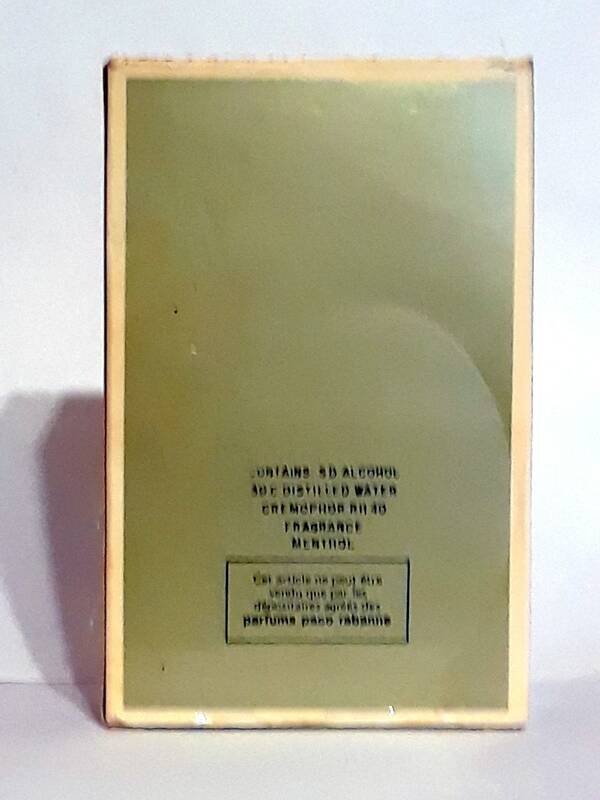 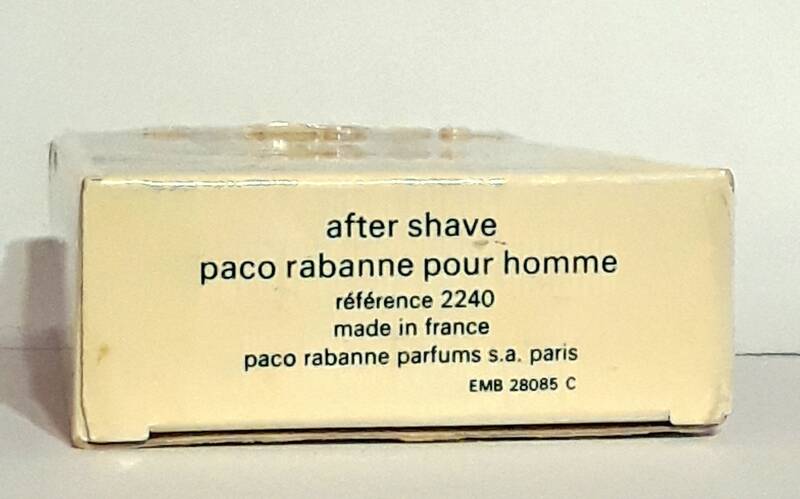 Vintage Vintage 1980s Paco Rabanne Pour Homme 2.5 oz After Shave Splash. 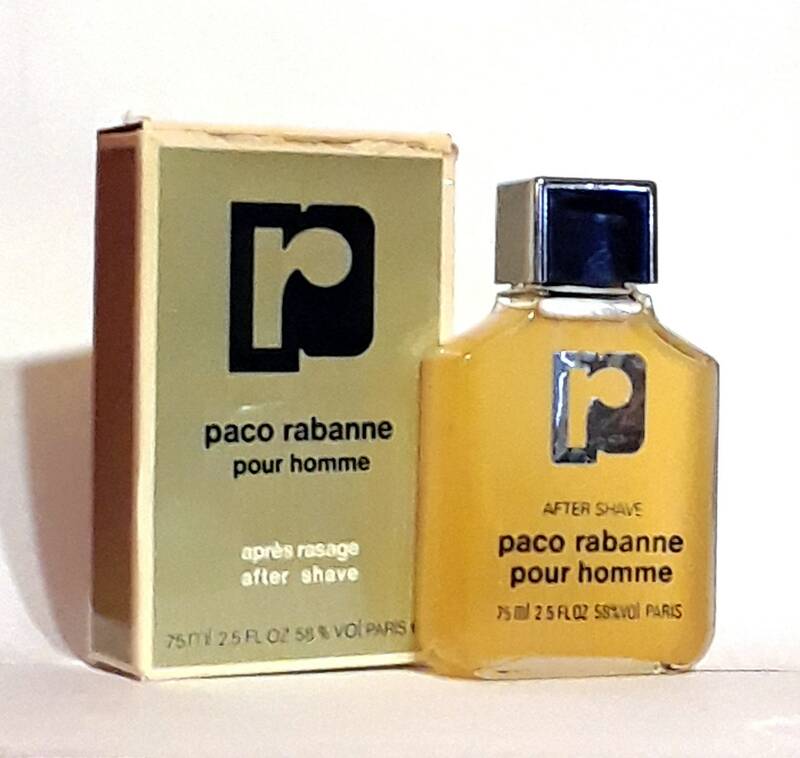 Launched in 1973, it is classified as a a dry fougere fragrance for men. 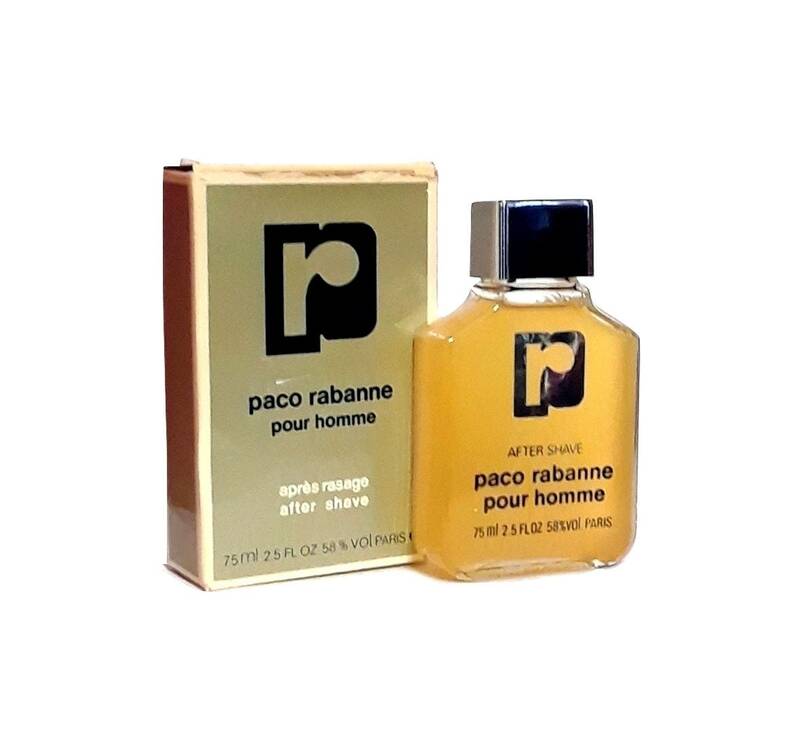 It begins with a fresh herbaceous and spicy top, followed by a spicy, dry floral heart, resting on a mossy base.